Prepare your VAT returns in no time. Just select the quarter you want to prepare VAT return for and Easy will do it all for you. Just double check the values and Create VAT return. Easy will then prepare PDF VAT return report and Backup report which you can share with your accountant or client. 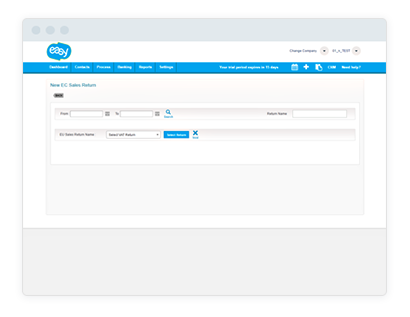 Once all ok you can directly file VAT from Easy at a click of a button. 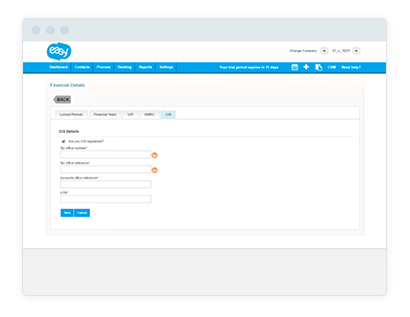 Easy is recognised by HMRC to submit VAT returns online to HMRC gateway. You don’t have to worry about preparing VAT returns now. You can prepare all your VAT returns at a click of button and submit them to HMRC. Easy supports EC Sales and Reverse charge VAT. You just need to tell Easy which invoices and bills are for EU and if it’s a goods or service charge and Easy will take care of the rest for you. Just select the period you want to prepare CIS return and Easy will do it all for you. Just double check the values and Create CIS return. Easy will then prepare PDF CIS return report and Backup report which you can share with your client or accountant. Once all ok you can directly file CIS return from Easy at a click of a button. 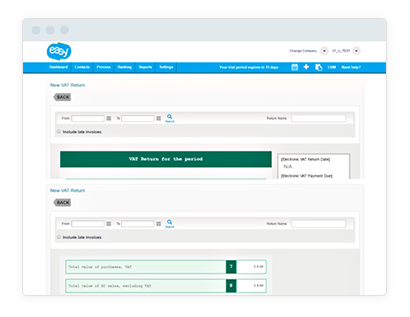 Easy is recognised by HMRC to submit CIS returns online to HMRC gateway. You don’t have to worry about preparing CIS returns now. You can prepare all your CIS returns at a click of button and submit them to HMRC. 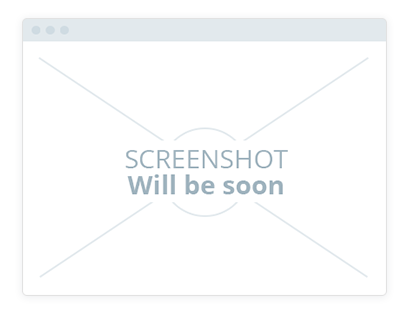 Create professional looking customised invoices within seconds with your company.